Henrietta Bennett, 79, residing in Osceola, passed away at 1:33 pm Wednesday, November 7, 2018 in Healthwin Specialized Care, South Bend, IN. She was born on June 21, 1939 in Estill Springs, TN to the late Amos Luther and Ovel Katherine (Tucker) Buckner. Henrietta moved to the Michiana area in the mid-1950’s coming from Tennessee. She was a 1957 graduate of Niles High School and worked as a bartender for many years. On April 11, 1958, Henrietta married Ralph Lee Bennett, who survives. 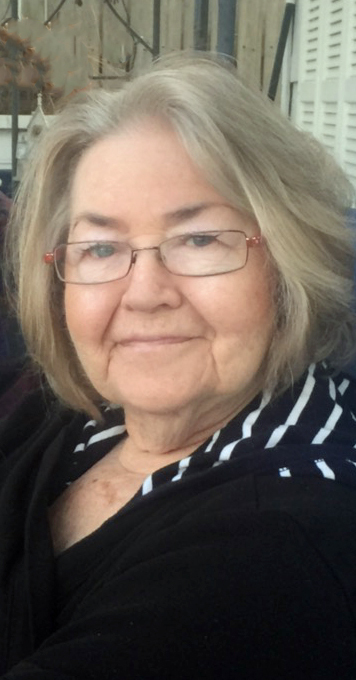 In addition to her loving husband of 60 years, she is survived by her daughter, Rhonda Sue (Philip) Robinson of Fishers, IN and Ralph Troy Bennett of Osceola; and three grandchildren, Mitchell Bennett Robinson, Grant Troy Bennett and Landon Lee Bennett. She was preceded in death by a granddaughter, Bristol Leigh Robinson; and two sisters, Martha Leona Nowak and Oda Jean Gautreaux. Henrietta had an eye for interior design as well as the talent and a flare for decorating. She was extremely creative and a phenomenal cook and entertainer. Henrietta hosted parties and gatherings for family and friends, and was the envy of all “Martha Stewart wannabe’s”. She never met a stranger and will be greatly missed by everyone who knew her. Friends and family are invited to a memorial gathering for Henrietta from 1:00 - 5:00 pm Saturday, November 17, 2018 in the Palmer Funeral Home - Hickey Chapel, 17131 Cleveland Road, South Bend, IN. Expressions of sympathy in memory of Henrietta may be donated to the American Lung Association of Indiana, 115 W. Washington Street, Suite 1180-South, Indianapolis, IN 46204 or Autism Speaks, Inc., 1 East 33rd Street, 4th Floor, New York, NY 10016. Online condolences may be left for the Bennett family at www.palmerfuneralhomes.com.